Scientists have taken a specific interest in aging during these past 30 years. Thanks to new technological breakthroughs, we have been able to conduct a closer study of the phenomenon. Studies have shown that aging is controlled, somehow, by genetic factors and biological processes inherent to humankind. In order to slow down this natural process and prolong our life expectancy, the first step is to understand the causes of aging: how it works on living organisms, and what different factors determine life expectancy. Genome: the genome is the sum of the genetic information of a person or species. The information is mostly stored in the cell’s nucleus, and the genome is the map to build the whole organism. It contains all the information that allow our cells to build and maintain our bodies, which is stored as DNA. Every fraction of DNA represents a specific characteristic of an individual (a gene). The human genome contains between 25,000 and 30,000 genes. The DNA contained in the nucleus is wrapped around proteins called histones. It is the combination of histones and DNA that makes up chromosomes. The chromosomes contain all of our genetic information and are replicated with every cell division in order to transmit the information to the newly created daughter cell. Throughout life, our cells get to divide a great number of times. 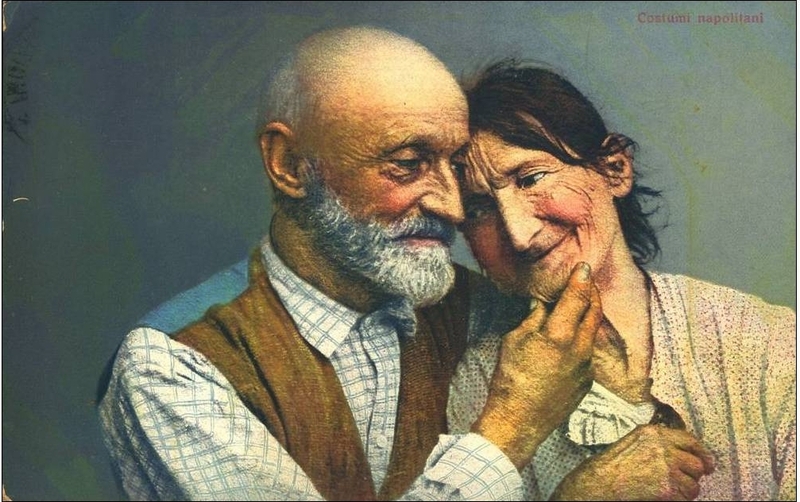 In older people, genetic anomalies can be observed . Those mutations mostly happen during DNA replication and can affect important genes, or cause genetic transcription issues. These mutations cause the cell to malfunction and can affect the remaining tissue if the cell isn’t eliminated through apoptosis (cellular death) or through senescence (degradation of the cell’s functions). 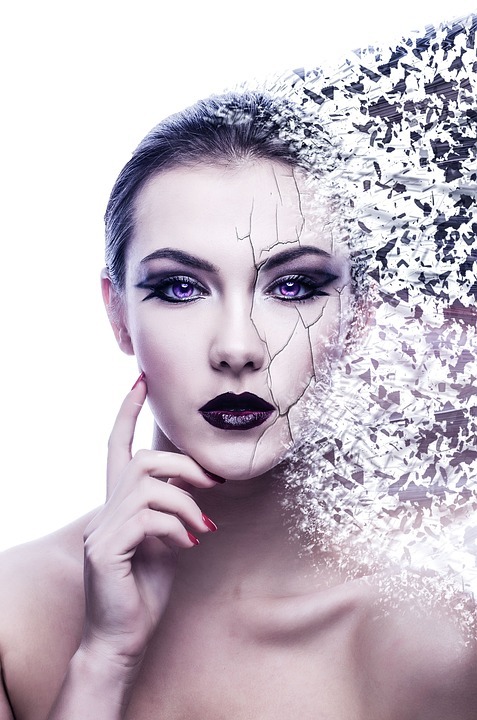 Recent studies have shown that the DNA repair system could play a part in the aging process. A control system is in place to repair DNA that was modified during replication. The system uses proteins and enzymes in order to reprogram the modified cell. On top of correcting the corrupted DNA, these proteins have other effects, such as NAD+ consumption (see definition) and links to the mitochondrial functions . 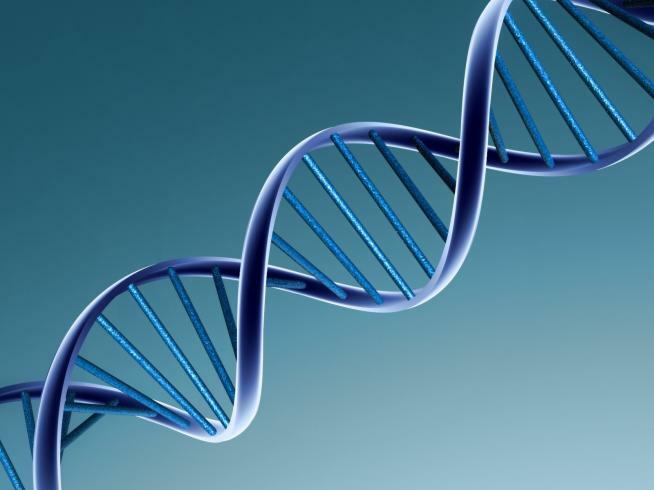 Studies have shown that more DNA-repairing proteins (PARP) can be found in aged subjects . Too much activation leads to the exhaustion of NAD+ stocks (although is it necessary to activate many NAD-dependent molecules such as sirtuins), and can induce cell apoptosis (death of the cell) if the DNA damage is too serious . With age, there is an increase in the number of dead cells and in senescence, which can explain the degradation of organs. Both processes are beneficial to the body, but as the body ages, their action becomes detrimental. 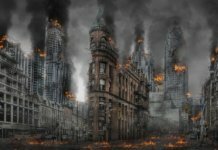 One interpretation is that the damage sustained by the DNA can grow exponentially because of the mutations that can affect the genes responsible for replication, or the DNA repair system. PARP activation protects the body from DNA damage within the cells, and is linked to the exhaustion of NAD+ in cells. The coenzyme NAD+ is needed to activate all NAD-dependent enzymes (sirtuins). That exhaustion causes cells to dysfunction. During the cell cycle (all the steps in the life of a cell), a cell divides and replicates its DNA in order to transfer the genetic information to the newly created cell. During that replication process, a modification automatically happens: the non-replication of a portion of one end of the chromosome (telomere). This leads to a gradual shortening of the telomeres with each cell division. 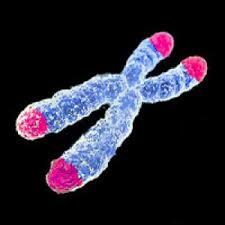 One enzyme called telomerase allows the full replication of a telomere. It is only found with stem cells, embryonic cells and cancer cells. It allows the full replication of a telomere which can remain sound throughout cell division. 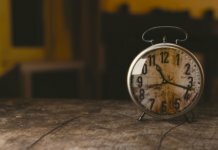 Presence of this enzyme in cancer cells explains why they are immortal: they can divide infinitely, without being stopped by their “biological clock”. The workings of this enzyme is then very interesting to scientists – however, activating it could be linked to an onset of cancer. Telomeres have a protecting effect on DNA. They are the portion of the chromosome that contains no genetic information, and erode throughout life with each replication until they almost disappear to leave the DNA information bare. DNA is no longer protected when it replicates, critical information get “chewed out” and it can lead to cell apoptosis (death of the cell) or change the cellular cycle by creating cancer cells. A Harvard study genetically modified old and weak mice in order to activate the genes in charge of telomerase production: the mice were rejuvenated and damaged tissue even regenerated . Another study was conducted on skin cells. Cultivated cells can divide about 40 to 60 times in their lifetime before beginning their aging process. By genetically modifying them in order to activate telomerase production, those same cells could divide 300 times. Both experiments show the importance of telomeres in the life expectancy of a cell. However, adding telomerase or activating its production is not a viable solution to aging as of now, because of its link with cancer. Telomere shortening can be seen as a biological clock which activates cell senescence as soon as its time is up. This mechanism limits the life expectancy of our cells, which is why it is central to all current research on aging. Epigenetics are the study of the mechanisms managing the expression of the gene pool. Genetics are about genes, when epigenetics are about the use of those genes. This subject area shows how the expression of a gene can vary (activated or not) depending on the environment. Organs show this variability: each cell has a similar genetic information but different functions, which shows the difference in gene expression depending on the environment. One way to understand the phenomenon is to look at bees: one larva can become a queen or a worker depending on how it feeds. This is a very good example of an epigenetic phenomenon: one information can be expressed as two very different results. This subject area is very interesting to understand aging because it describes the evolution of cellular activity through time and gene expression. Histone modification: histones are proteins around which the DNA wraps itself. They make up the most of a chromosome. Any modification in the histone components (acetyl group) can sensibly affect the body and change gene expression. For instance, suppressing acetyl groups on an histone in vertebrates can increase their life expectancy. Some hormones are responsible for the addition or suppression of histone components (sirtuins, NF-kB) and affect genome stability. 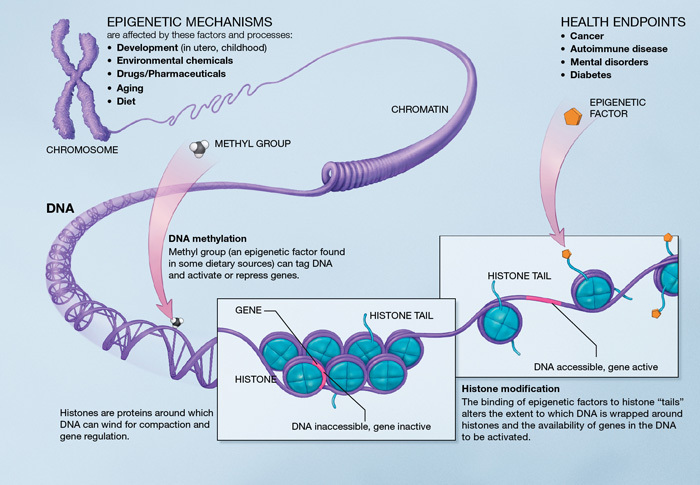 Histone modification thus affects life expectancy through modifications of the expression of some genes. The study of epigenetic alterations is at the core of the aging process. It describes changes in cell activity through time. Gene methylation and modification of histone proteins are responsible for changes in genome expression, and chromatin remodeling affects genome stability. The alterations are linked to age-related diseases like cancer, atherosclerosis and dementia. Protein: proteins play a major role in many cellular mechanisms. They are the building blocks of our bodies and structure our cells. Inside the body, they can act as antibodies or hormones, and carry messages between our cells. Amino acid: the building blocks of life. They make up proteins. Each amino acid bestows specific chemical properties to the protein, and its function depends on its place in the sequence. Proteins mostly work due to their shape which allows them to be identified and to perform their function. Protein folding allows them to take up their effective shape. This is a physical process through which a protein becomes functional by getting into the right shape. Each protein has a specific unfolded shape – a linear chain of amino acids – in which it is not functional. The chemical properties of each amino acid shape each protein into the shape that allows it to perform its function within the cell. Studies have shown that many age-related diseases, especially neuro-degenerative diseases (Alzheimer’s disease, Parkinson’s…) are due to the buildup of unfolded proteins inside the cell, causing it to malfunction. Chaperon proteins are in charge of assembling, transporting and destroying other proteins. Their function is vital for the body to work. Aging reduces the activity and synthesis of chaperon proteins which leads to issues in protein management  (buildup of defective proteins inside the cells, folding of denatured proteins…). The possible cause of chaperon proteins malfunction is a low supply of ATP, an energy source for the human body (see mitochondrial dysfunction), or a modification of its “sensor” which can prevent the chaperon protein from identifying its target. In order to prevent accumulation of unfolded or partly folded proteins, the nucleus and the mitochondria communicate to destroy defective proteins. Communication degrades with aging (see mitochondrial dysfunction) which leads to a non-functional proteins buildup in the cells. The dysfunction of proteins is one of the main causes of aging because of their essential role in our bodies (communication, antibodies, hormones…) Chaperon proteins and nucleus-mitochondria communication rule the behavior of proteins. Protein deterioration causes aging. 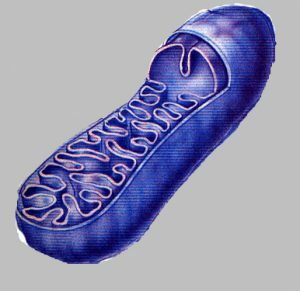 Mitochondria are organelles (constituents of the cell: nucleus, mitochondria…) in the cells. They maintain cellular respiration and ATP creation – an energy source vital to all mechanisms of the human body. They are the power source of all living things; their function is vital and dysfunctional mitochondria can lead to the death of the cell. Mitochondria are the only organelles (components of the cell) with their own DNA, called mtDNA. 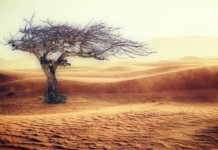 Studies conducted on the evolution of mitochondrial function throughout their lives showed that mitochondrial dysfunction is a reliable indicator of aging. These studies have shown that mitochondrial dysfunction happened even without significant changes of mtDNA, which suggests that age-related dysfunction of mitochondria is not triggered by mtDNA mutation but by one or more other factors. Oxidative stress: oxidative stress is caused by the oxidation of the many elements of our cells (oxygen-related electron loss). Free radicals are the molecules responsible for oxidation, and come from the oxygen contained in the air we breathe. Oxidative stress has long been studied as a potential cause of mitochondrial dysfunction. Aging was attributed for a long time to the wear induced by oxidative species (free radicals). It seems like the understanding of the phenomenon was only partial. Conversely, studies have shown that an increase in antioxidants had no effect on life expectancy, whereas an increase in the levels of free radicals led to longer life expectancy . The precise role of free radicals is not yet clear to science. Cell-mitochondria communication is another possible cause of dysfunction . These communications are necessary in order to replicate mitochondria, which makes them essential to the cell. They degrade with age, the necessary protein regulation decreases, leading to communication problems between the cell and mitochondria. It is a possible cause of mitochondrial deterioration that can lead to tissue aging. Cellular senescence happens when the cell ages and its function decreases. It stops dividing and changes activity (i.e. : secretion of inflammatory molecules). Senescent cells can be seen at all stages of life. They can be caused by DNA modification (see genome damage), cancer occurrence… Senescent cells accumulate in some tissues with age and cause heterogeneity. Senescence is useful in terms of limiting cancerous cells proliferation. Dead cells are destroyed (phagocytosis) which calls for an efficient immune system. However, with age, the immune system loses efficiency as the number of senescent cells increases, which leads to an accumulation of senescent cells in some tissues. Therefore, this mechanism is beneficial during youth. It protects the body against cancerous cells proliferation, but relies on an efficient immune system to eliminate senescent cells. With aging, senescent cells accumulate because of the lack of stem cells renewal and of a less efficient immune system. 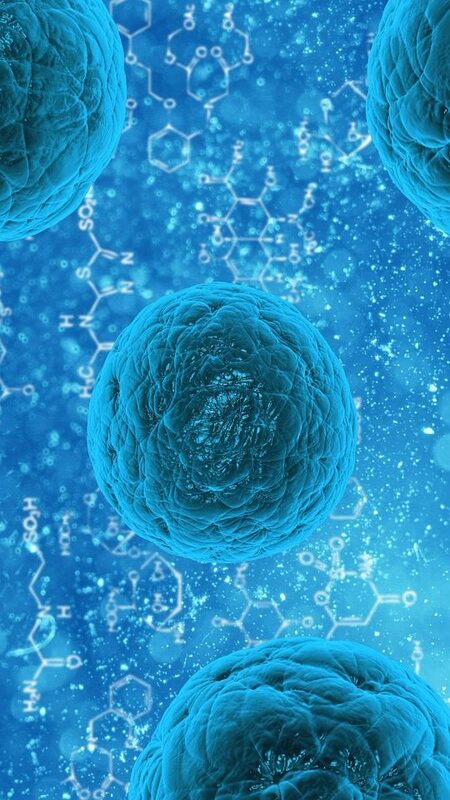 Stem cell: Stem cells are undifferentiated cells, they belong to no specific organ, and can generate specialized cells through “cellular differentiation”. The mechanisms allows stem cells to develop characteristics specific to one type of cell. The stem cells of an adult cannot end up with any type of cell (i.e. : red blood cells and T and B lymphocytes all come from the same undifferentiated cells, hematopoietic stem cells. They cannot end up as muscle cells, neuron cells…) Some organs already consist in specialized stem cells (unipotent stem cells) such as the skin, liver, intestinal lining, which ensures fast cell renewal. 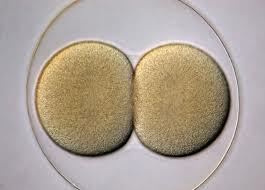 Stem cells allow the renewal of cells in an organ, they are stored in the body and used when needed. Some cells age and die on a regular basis and need to be replaced. A red blood cell lasts for an average of 120 days. Other organs can grow and demand more tissue (such as the uterus during pregnancy) and some animals’ cells allow them to regenerate limbs (i.e. : lizards). Some organs have no stem cells and therefore cannot be renewed when damaged (heart, pancreas). With aging, tissues don’t regenerate as well due to the slowdown of cell division and the lack of stem cells replacement. 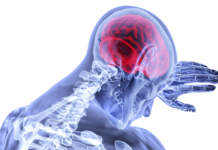 This behavior can be explained by the overexpression of proteins blocking the cellular cycle, or the accumulation of DNA damage on stem cells. This increases the number of senescent cells in tissues and can lead to an array of problems depending on which organ is affected. In the case of hematopoietic stem cells, exhaustion of stem cells can lead to immunodeficiency (T and B lymphocytes play a role in the immune system). 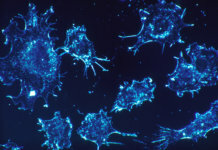 The same can happen with muscles, brain, bones… On top of stem cell production going down, DNA mutations can occur and trigger cellular death with some cells, or modify the genetic information as well as increase resistance and replication speed, which leads to an increase of defective (or pre-cancerous) cells. Exhaustion of stem cells is one of the main causes of aging since it prevents cell renewal and leads to the aging of organs. 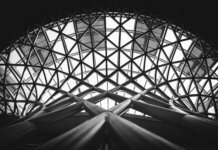 Understanding the workings of stem cells will be vital for regenerative medicine in the future. Here were presented 7 causes of aging. These causes are potentially responsible for the alteration of the functions of the body. Some of them are at the very core of beneficial mechanisms which become detrimental with age, as it is the case with cellular senescence and the DNA repair system. The mechanisms prevent cancer from developing, but as their activity grows too strong or malfunctions, the degeneration of the body speeds up. Other causes are simple mechanisms that slowly degrade through time (mitochondrial dysfunction, telomere shortening…). It is necessary to understand them if we ever want to work on it in order to potentially slow down aging and lengthen human life expectancy. Genome: the genome is the sum of the genetic information of a person or species. The information is mostly stored in the cell’s nucleus, and the genome is the map to build the whole organism. It contains all the information that allow our cells to build and maintain our bodies, which is stored as DNA. Every fraction of DNA represents a specific characteristic of an individual (a gene). The human genome contains between 25,000 and 30,000 genes. The DNA contained in the nucleus is wrapped around proteins called histones. It is the combination of histone and DNA that makes up chromosomes. The chromosomes contain all of our genetic information and are replicated with every cell division in order to transmit the information to the newly created daughter cell. Antibodies: protein used by the immune system to detect and neutralize pathogens. Hormone: Chemical substance acting through the blood system by transmitting information in chemical form so it can be read by receptors. Stem cell: Stem cells are undifferentiated cells, they belong to no specific organ, and can generate specialized cells through “cellular differentiation”. The mechanisms allows stem cells to develop characteristics specific to one type of cell. The stem cells of an adult cannot end up with any type of cell (i.e. : red blood cells and T and B lymphocytes all come from the same undifferentiated cells, hematopoietic cells. They cannot end up as muscle cells, neuron cells…) Some organs already consist in specialized stem cells (unipotent stem cells) such as the skin, liver, intestinal lining, which ensures fast cell renewal. NAD: nicotinamide adenine dinucleotide is a coenzyme that can be found in all living cells. It is used for many things such as ATP synthesis, mitochondrial function… NAD stocks decrease with age and affect the mechanisms for which this coenzyme is relevant. Sirtuin: sirtuins are a class of NAD-dependent enzymes that play a role in the aging process. They play a vital part in controlling longevity. Hadrien is an engineer and was trained in biology, physics and bio-engineering at the École Polytechnique féminine in Paris. Hadrien est aujourd’hui ingénieur polyvalent après une formation en biologie, physique et bio-ingénierie à l’École Polytechnique féminine. Specialized scientific and technical translator for Elvesys and Long Long Life. She graduated with an EMT M.A. in Language Industry and Specialized Translation from Paris 7 University. Responsable de communication et de contenus, chargée de production vidéo pour Long Long Life. Traductrice scientifique et technique spécialisée pour Elvesys et Long Long Life. Elle détient un master 2 « Industrie de la langue et traduction spécialisée » de l’Université Paris 7 Diderot. Alexey A. Moskalev et al., “The Role of DNA Damage and Repair in Aging through the Prism of Koch-like Criteria,” Ageing Research Reviews 12, no. 2 (March 2013): 661–84, doi:10.1016/j.arr.2012.02.001. Péter Bai and Carles Cantó, “The Role of PARP-1 and PARP-2 Enzymes in Metabolic Regulation and Disease,” Cell Metabolism 16, no. 3 (September 5, 2012): 290–95, doi:10.1016/j.cmet.2012.06.016. Nady Braidy et al., “Age Related Changes in NAD+ Metabolism Oxidative Stress and Sirt1 Activity in Wistar Rats,” PLOS ONE 6, no. 4 (avr 2011): e19194, doi:10.1371/journal.pone.0019194. Weihai Ying et al., “NAD+ as a Metabolic Link between DNA Damage and Cell Death,” Journal of Neuroscience Research 79, no. 1–2 (January 1, 2005): 216–23, doi:10.1002/jnr.20289. Judith Campisi, “Senescent Cells, Tumor Suppression, and Organismal Aging: Good Citizens, Bad Neighbors,” Cell 120, no. 4 (February 25, 2005): 513–22, doi:10.1016/j.cell.2005.02.003. Elizabeth H. Blackburn, Carol W. Greider, and Jack W. Szostak, “Telomeres and Telomerase: The Path from Maize, Tetrahymena and Yeast to Human Cancer and Aging,” Nature Medicine 12, no. 10 (October 2006): 1133–38, doi:10.1038/nm1006-1133. Jerry W. Shay and Woodring E. Wright, “Senescence and Immortalization: Role of Telomeres and Telomerase,” Carcinogenesis 26, no. 5 (May 1, 2005): 867–74, doi:10.1093/carcin/bgh296. Mary Armanios and Elizabeth H. Blackburn, “The Telomere Syndromes,” Nature Reviews. Genetics 13, no. 10 (October 2012): 693–704, doi:10.1038/nrg3246. “Partial Reversal of Aging Achieved in Mice,” Harvard Gazette, accessed September 2, 2016, http://news.harvard.edu/gazette/story/2010/11/partial-reversal-of-aging-achieved-in-mice/. S. Sayols-Baixeras et al., “Identification and Validation of Seven New Loci Showing Differential DNA Methylation Related to Serum Lipid Profile: An Epigenome-Wide Approach. The REGICOR Study,” Human Molecular Genetics, September 15, 2016, doi:10.1093/hmg/ddw285. Gianluca Pegoraro et al., “Aging-Related Chromatin Defects via Loss of the NURD Complex,” Nature Cell Biology 11, no. 10 (October 2009): 1261–67, doi:10.1038/ncb1971. Chunyu Jin et al., “Histone Demethylase UTX-1 Regulates C. Elegans Life Span by Targeting the insulin/IGF-1 Signaling Pathway,” Cell Metabolism 14, no. 2 (August 3, 2011): 161–72, doi:10.1016/j.cmet.2011.07.001. Susmita Kaushik and Ana Maria Cuervo, “Proteostasis and Aging,” Nature Medicine 21, no. 12 (December 2015): 1406–15, doi:10.1038/nm.4001. D. E. Feldman and J. Frydman, “Protein Folding in Vivo: The Importance of Molecular Chaperones,” Current Opinion in Structural Biology 10, no. 1 (February 2000): 26–33. Stuart K. Calderwood, Ayesha Murshid, and Thomas Prince, “The Shock of Aging: Molecular Chaperones and the Heat Shock Response in Longevity and Aging – A Mini-Review,” Gerontology 55, no. 5 (September 2009): 550–58, doi:10.1159/000225957. “Protein Modification and Maintenance Systems as Biomarkers of Ageing,” n.d.
 Ryan Doonan et al., “Against the Oxidative Damage Theory of Aging: Superoxide Dismutases Protect against Oxidative Stress but Have Little or No Effect on Life Span in Caenorhabditis Elegans,” Genes & Development 22, no. 23 (December 1, 2008): 3236–41, doi:10.1101/gad.504808. Ana Mesquita et al., “Caloric Restriction or Catalase Inactivation Extends Yeast Chronological Lifespan by Inducing H2O2 and Superoxide Dismutase Activity,” Proceedings of the National Academy of Sciences of the United States of America 107, no. 34 (August 24, 2010): 15123–28, doi:10.1073/pnas.1004432107. Michael T. Ryan and Nicholas J. Hoogenraad, “Mitochondrial-Nuclear Communications,” Annual Review of Biochemistry 76 (2007): 701–22, doi:10.1146/annurev.biochem.76.052305.091720. Tamara Tchkonia et al., “Cellular Senescence and the Senescent Secretory Phenotype: Therapeutic Opportunities,” Journal of Clinical Investigation 123, no. 3 (March 1, 2013): 966–72, doi:10.1172/JCI64098. Chunfang Wang et al., “DNA Damage Response and Cellular Senescence in Tissues of Aging Mice,” Aging Cell 8, no. 3 (June 2009): 311–23, doi:10.1111/j.1474-9726.2009.00481.x. 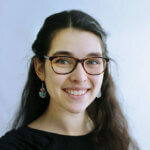 Isabel Beerman et al., “Proliferation-Dependent Alterations of the DNA Methylation Landscape Underlie Hematopoietic Stem Cell Aging,” Cell Stem Cell 12, no. 4 (April 4, 2013): 413–25, doi:10.1016/j.stem.2013.01.017. Claudia E. Rübe et al., “Accumulation of DNA Damage in Hematopoietic Stem and Progenitor Cells during Human Aging,” PLoS ONE 6, no. 3 (March 7, 2011), doi:10.1371/journal.pone.0017487. 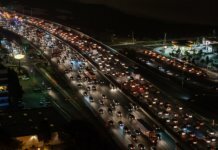 Part 2: Cardiovascular diseases and aging: traffic jam incoming! 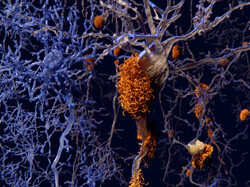 Diseases of aging, age-related diseases : when time catches up!